Bar stool – the brilliant seating solution for the modern home. Whether it’s for your home pub area, breakfast nook, kitchen, dining room, home theater bar, or game room, bar and counter stools come in a wide variety of styles, designs, materials, and finishes to suit and enhance your existing décor and add function to your space. No matter how much you love the style and finish of a bar stool you have picked out, it’s not going to work if it’s too short or too tall. There’s a difference between bar stools and counter stools. 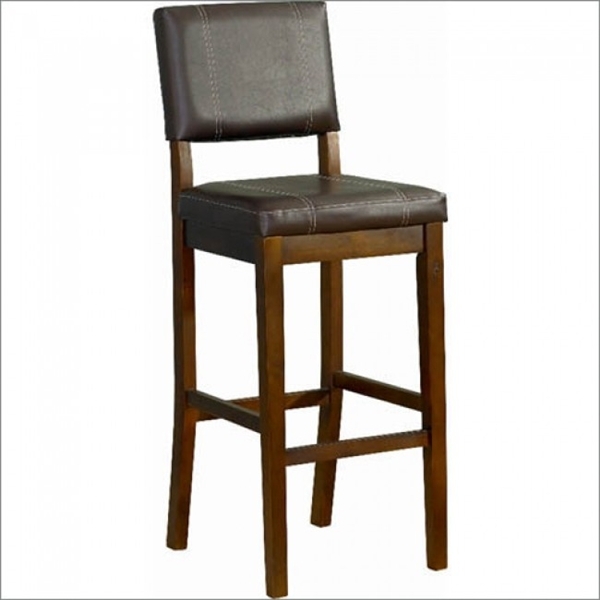 Bar stools stand at an average 30 to 32-inch height, while counter stools average a 24 to 26-inch height. Measure your counter, bar, or table before purchasing a stool. Bar heights average between 40-42 inches. Allow a 10-12-inch difference between the table top and the stool. Thus, for a 42-inch table top, you should get a 30-inch bar stool. Remember to measure the overhang of the table as well. For example, if you have a 42-inch table with a 6-inch overhang, it’s best to get a 30-inch bar stool instead of a 32-inch one. Try not to crowd too many bar stools together. 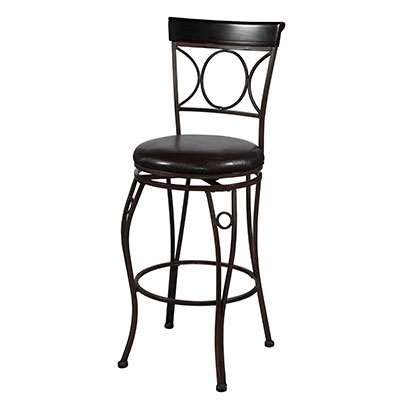 The industry standard spacing between the centers of each bar stool is 26-30 inches. This will give enough room for your guests to move comfortably while seated. Follow this information to determine how many bar stools it is recommended for you to get. The bar stool seating arrangement should be about a nice blend of functionality and comfort. 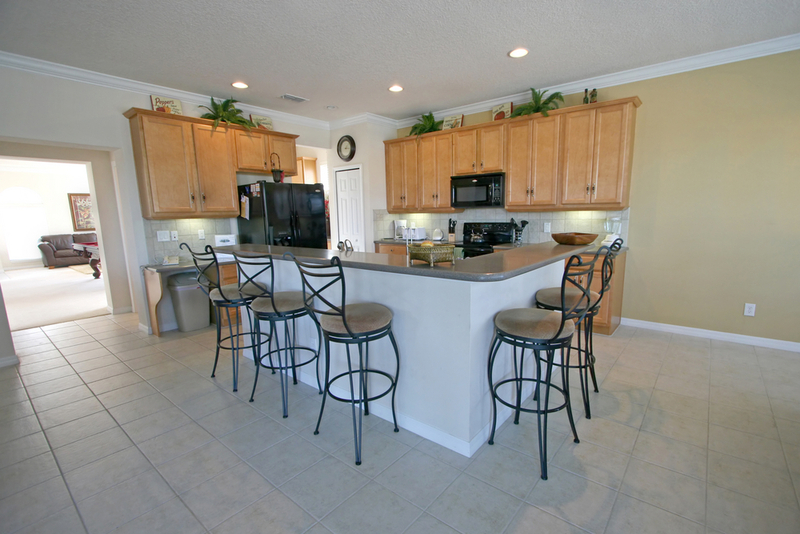 When planning for the placement your bar stools, the location and frequency of use are important factors to consider. For instance, bar or counter stools that are going in the kitchen should be constructed of sturdy materials and easy-to-clean upholstery – these will make the kitchen stools durable for everyday use. Whether you’re going for a classic or contemporary décor, bar stools come in a huge selection of styles and materials that will fit any budget. Wood – The finest wood frames are crafted from kiln-dried hardwoods. Kiln drying refers to drying or curing wood in a large oven through carefully controlled heat and humidity. This will avoid breakage and ensure that there is no moisture in the wood, extending the life of it. Metal – For a more industrial or contemporary theme, metal stools are the perfect choice. They are normally upholstered. Unlike wooden stools, most metal stools have an adjustable height. When shopping for metal stools, look for ones with a sleeve-covered piston – this will hide the greasy gas-lifts area of the stool. Upholstery – the padded cushion should cover the entire seat and continue down and around; the padding shouldn’t stop at the rim of the seat. Microfiber, leather, vinyl, and polyester materials are resistant to everyday wear and tear. When shopping for bar furniture, make sure to carefully read the product specifications. A stool with an adjustable height should have an adjustable foot rest as well; the height of the foot rest should match the height of the stool. Never stand on a bar or counter stool as they may not be able to support too much weight. Leather and fabric upholstered stools are not made to use outdoors. Don’t use abrasive cleaning materials for wooden bar or counter stools.